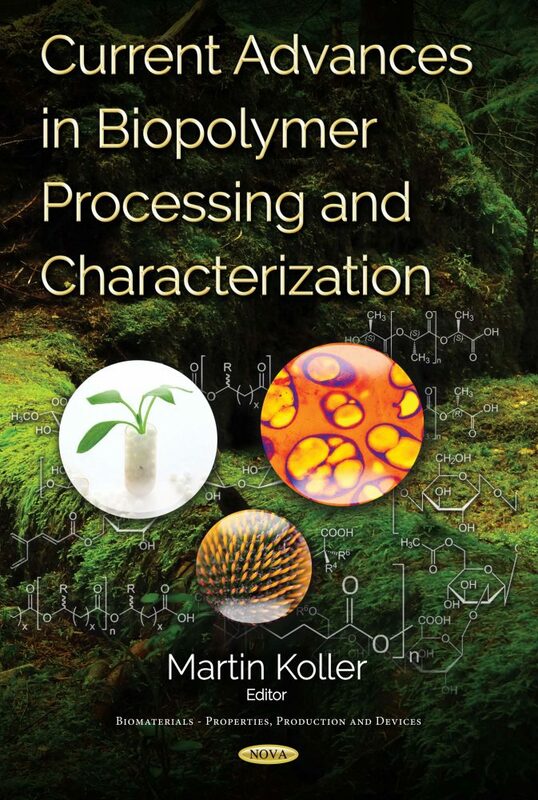 The book presents current R&D activities to unravel the physico-chemical properties of diverse “biopolymers”, and their processing towards functionalized, high-performance bio-products with defined applications. The importance of this research becomes obvious by considering the annual plastic production of about 330 Mt, the lion´s share thereof based on the conversion of fossil feedstocks that is highly recalcitrant against biodegradation. Alternative environmentally degradable plastics cover not even 5% of today´s plastic market. Such “biopolymers” encompass various macromolecules of biological origin with diverse monomeric composition, and manifold physico-chemical properties. This structural diversity makes them potential candidates to produce bulk materials, e.g., for packaging purposes, smart functionalized materials in special niches like the biomedical field. Consequently, we witness an increasing trend towards new natural polymers to replace well-established products like plastics. After decades of global R&D developments in this field, and numerous body blows on the way to the anticipated market breakthrough of biopolymers, it is generally recognized that the success of such new materials needs progress in both material performance and production prices. Firstly, polysaccharides, nature´s most abundant raw materials, are represented by specialized contributions on biomedical applications of starch and its follow-up products. Polysaccharides were also studied for the examples of functionalized thermoplastic starch, molecular and hydrocolloidal characteristics of xanthan in aqueous environments, and by the design of functionalized xylan-based bio-materials. Secondly, the second series of contributions encompasses diverse biopolyesters. Advanced methods to improve the properties of PLA, fine-tune PLA properties by triggering PLA´s crystallization rate during melt processing, and the strongly emerging field of 3D-printing of PLA, PCL, and microbial PHA are described. Finally, the authors familiarize the reader with the application of mixed microbial cultures to produce PHA heteropolyesters with different thermo-mechanical properties in dependence on cultivation strategy and the microbial species’ composition. The book addresses the whole range of polymer science, and shall be useful in getting an idea where established polymeric materials can be replaced or even outperformed by bio-based alternatives. In addition, the book is especially dedicated to students of higher level, who are involved in the fields of polymer chemistry and polymer processing; we hope that this book is helpful and motivating for you! Further, we are convinced that the book attracts the attention of representatives of polymer industry. Do you want to get your feet on the ground of innovative, sustainable and smart polymeric products? This might pave the way for a broader implementation of biopolymers and their follow-up products on the industrial scale.